Hey guys, here is the intro to the introduction of a series of posts Josh will be writing about pop culture, media, anime, and all that jazz. I’ve read the original essay that these posts derive from, and know that it is very dense and typical of everything Josh writes haha. That being the case, I have gone through (with his permission) and tried to make it more accessible to someone who doesn’t want to read nothing but academic drivel (I love you Josh). Anyway…moving right along. Here’s the post! Hope you enjoy whatever the heck he’s trying to talk about ;). From superhero movies to “soft power“, pop culture seems to have infiltrated everything from Hollywood to foreign policy (like this gem). Indeed, I don’t think it’d be to much of an exaggeration to say that we are pretty much surrounded by a constant barrage of media. Social media platforms/forums like Facebook and Reddit have exploded, and just because you don’t use them doesn’t necessarily mean you’re free of their influence: stuff that happens on these outlets now are news stories in and of themselves. Plus with the large (and growing) percentage of people who now own smartphones, our ability to just straight-up access media “anytime, anywhere” has drastically increased. This intense media exposure has been accompanied by a “blurring out” of what we are actually consuming. “Trans-media” campaigns and franchises — where some underlying “world” seems to span across a host of different media platforms from books to television series to video games — now carry serious weight, and increasingly seem to shift shine doubt on what we’re actually consuming when we interact with their products. * I mean, just look at the mess that is the (expanded) Star Wars Universe. Or what used to be the Halo franchise. Or the (original) Marvel and DC Universes. Or, for a more anime-centric example, the Gundam meta-franchise. * Note: given this type of equivalence, I will just refer to abstract media products and physical goods interchangeably as “media-goods” so I don’t have to keep specifying. It might sound weird, but it’s easier on me! What is it exactly that holds these universes together? What abstract “theme park” (because using the term “world” is too generous!) are we being granted special access too? Is this somehow separable from the actual product itself, or are they fundamentally connected to each other? What exactly is our role in this whole “consuming media” process? What does it mean for something to be “canon”? 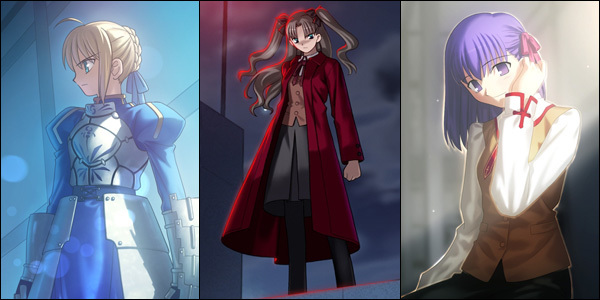 What are fans tapping into when they can re-create characters for us? How exactly can fans move seamlessly between self-generated content and official stories? Given the prevalence of “media mix” marketing in anime, where shows get tie-in goods, video games, T-shirts, figures, and more (often created by a bunch of different companies! ), plus the deep engagement of otaku with the whole shebang, trying to understand how this works might hopefully offer some insight into some of the questions I’ve posed above about how exactly fans (especially otaku) relate to shows. Still no idea how we ended up with Haiyore! 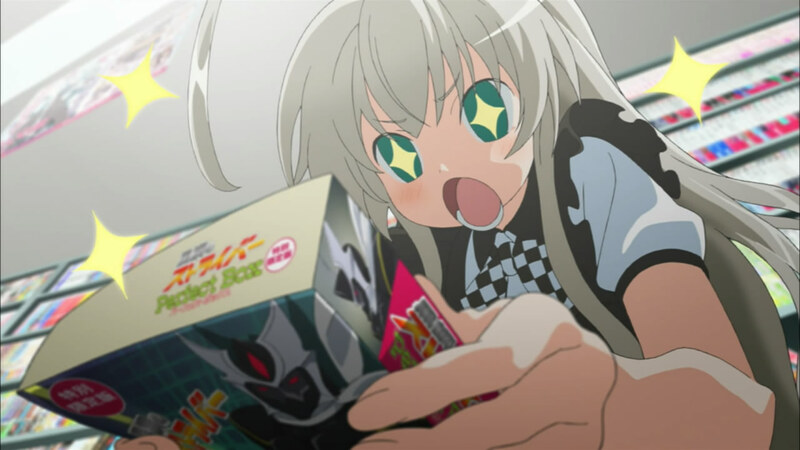 Nyaruko-san though. Now, while it might seem like I’m blowing hot air here and waxing uselessly academic (he totally is), I want to point out that I’m not the first one to take this approach, but rather following in the footsteps of Hiroki Azuma (who used this type of approach in his seminal Otaku: Japan’s Database Animals) as well as Marc Steinberg and Ian Condry (both of whom have also published books on the topic). How does this type of media environment — especially in anime — affect the way we fundamentally interact with media? Does it affect the types of shows we like, how we internalize things, how we express ourselves, etc.? How does all of this affect media itself? Does it affect the types of stories we are able to tell, the relationships such media reinforce, etc.? Almost all of the dialogue within the academic anime community (as far as I can tell) has focused on the first question (with the notable exception of Thomas LaMarre, who really set about to tackling the second question). This isn’t necessarily because the first question is “better” than the second. Rather, I think it’s because the question is much more accessible: it is much easier to come up with theories on people and what they consume (especially without lots of quantitative data! ); it’s much harder to create theories centering on the products themselves and the people behind them. Unless you’re Nabeshin, of course — then you just screw with people for fun and serve as the Deus Ex Machina character in all your own shows. I’ve been thinking long and hard about these problems, and hopefully you guys will appreciate the fruits of my labor as I try and tackle both of these questions over the next few weeks. In this first series of posts, I will focus on the first question in an attempt to lay out the broad framework for a heavy extension of Hiroki Azuma’s “database model” which I have called the media-culture machine. I know, it’s an EXTREMELY OMINOUS-SOUNDING NAME, but it’s actually not nearly that bad. Or, I guess more precisely, it depends on what your opinion is surrounding some of the stuff I’ll be talking about. In a nutshell, the media-culture machine is centered upon the ability of consumption itself to unify media, culture, and identity — yes, I’m actually making a claim about all three ill-defined, controversial issues! — into one overarching framework where they become increasingly exchangeable: consuming media is culture in and of itself, while simultaneously operating as a way to express yourself and your identity. As a result, I think media “products” shouldn’t really be thought of as just things we watch or buy. Instead, they are fundamentally (and overarching) cultural icons that need to be consumed — watched, read, talked about, internalized — by us in order to understand the very culture they generate. This, I think, is the foundation behind the positive (and ever-growing) feedback loop that is pop culture. ‘Character’-based (world-connecting) modes of consumption, where it is the ability of iconography to connect disparate worlds together into some abstract pantheon of similar ideas, representations, etc. that drives us to consume more. Azuma’s model thus finds it’s (rightful) home comfortably among a broader pantheon of tendencies, all of which play an integral part in the ways we interact with media at any given time. WHY ONE ROUTE WHEN YOU CAN CHOOSE THEM ALL? 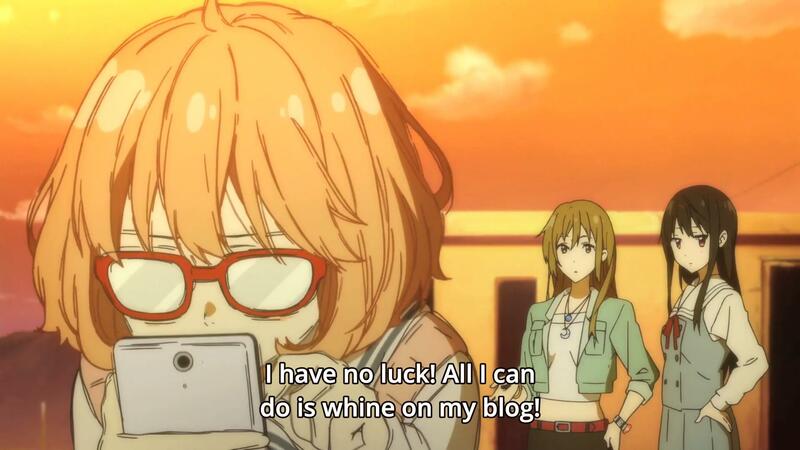 “…How does this type of media environment — especially in anime — affect the way we fundamentally interact with media? Does it affect the types of shows we like, how we internalize things, how we express ourselves, etc.? Isn’t that is two of the most basic questions that relate to all form of arts (the Artist-Audience relationship)? So from which new perspective do you think you’re going to exploit in comparison to the case if you tackle music, or sculpture? Do you wish to bring the second question to a personal level – a director, a writer or even a studio? And if you can answer what of my persistence question, it would be even better: What come first, the entity that creates the ‘world’, or the entity that produces the good? Don’t the three theme parks correlate to the first three levels of Film Crit Hulk’s 4 levels of artistic consumption? In this world where the line between consumer and producer and fan and critic blurs more and more, (ascended/promoted fans, internet personality reviewers/critics, professional fanworks, etc.) I’m currently finding the examination of what combination of the first three levels drives us to produce media, rather than just consume it. Even the very style of your writing is itself a performance and thus its own form of media that others consume, making you a producer. And then the way our expressions now more strongly affect the stories told. Consider what happened at the Supernatural panel at SDCC this past weekend, where the audience called out a writer about a storyline fridging a fan-favorite character, and he was pretty much hung out to dry by the cast of the show. 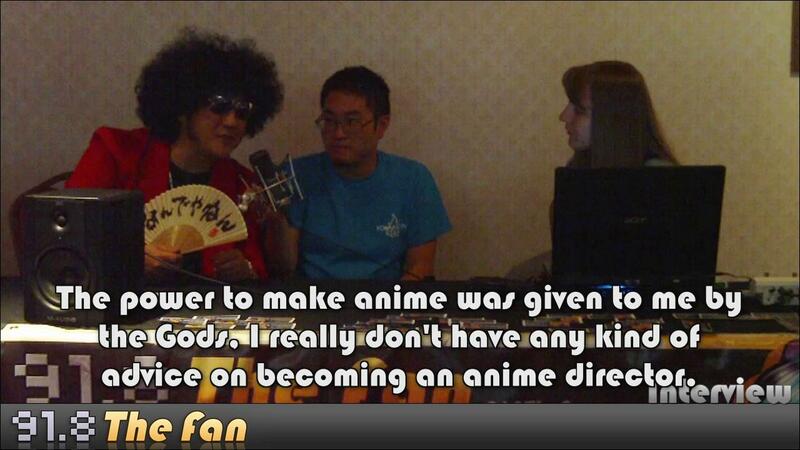 That would have been unheard of in previous fan-creators/fan-media paradigms. Which is all related to big question number 2. Really look forward to future posts!